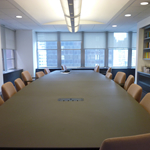 Noho office space for rent and lease; search / browse for commercial real estate in Noho NYC, view office listings, floor plans, photos, and more! This triangular bound district was named after "North of Houston" just west of Greenwich Village. Most of the commercial neighborhood lies along Broadway while the whole of Noho is equi-distant to both the East and Hudson rivers. 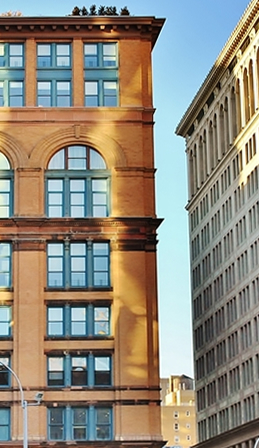 The area is synonymous for its abundant number of lofts from traditional offices and showrooms. As in most mixed (commercial / residential) zoning Noho commonly consists of many medical spaces / properties both on the ground and upper floors, making the area flexible and ideal for the potential practioner. Along the Broadwat corridor stands some of the city's best retailers and storefronts from international chains to small specialist boutiques. The area has enjoyed much improvement and has become a vibrant trendy center bound in by some of the city;s most desirable locales such as neighboring Soho and Tribeca. Such a diverse and varied district has attracted many types of industry from fashion to education Noho retains a strong cultural and economic presence while providing charm & convience for both tenants and visitors alike! Luxury, style, and excitement of working at the nexus of the East / West Villages will be the hallmarks of working in Noho, where old-world charm meets a youthful, downtown vibe. You have three options to your search; ask a Broker, search a Database, or browse through commercial real estate listings. Each option has its own advantages depending on your preference; we can help you save time and avoid fustration. Or you can scroll down BELOW from here and view our lastest selection of Feature Spaces highlighted herein by our Brokers for their unmatched quality and cost savings. East 4th Street Office for Lease 1,125 SF. / $?? per SF. 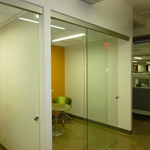 Bleeker Street Office for Lease 1,665 SF. / $?? SF. 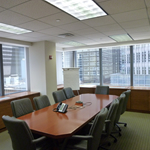 Broadway Office for Lease 2,000 SF. / $?? SF. 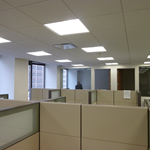 Bond Street Office for Lease 2,200 SF. / $?? SF. 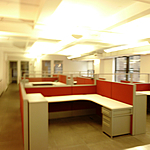 Astor Place Office for Lease 4,000 SF. / $?? SF. 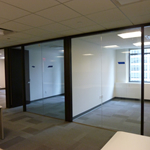 Bleeker Street Office for Lease 7,570 SF. / $?? SF. 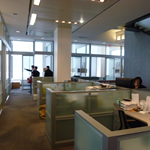 Lafayette Street Office for Lease 10,500 SF. / $?? SF. 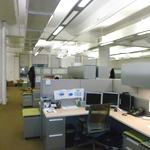 Broadway Office for Lease 15,200 SF. / $?? SF. Neigborhood Details Noteworthy Properties: 51 Astor Place, 30 Bond St, 30 Cooper Sq, 36 Cooper Sq, 38-40 Cooper Sq, 52 Cooper Square, 610 Broadway, 622-626 Broadway, 632 Broadway, 636 Broadway, 648 Broadway, 676 Broadway, 680 Broadway, 740 Broadway, 740 Broadway, Astor Place Center (2-20 Astor Pl / 440 Lafayette St), Bayard-Condict Bldg (65 Bleecker St), Bleecker Tower Tenants Corp. (644-646 Broadway), The Clinton Hall Building, The DeVinne Press Bldg (399 Lafayette St), The Silk Building (14 East 4th Street), and The 666 Broadway Condominium. Corporations Headquarters in the Area: Anchorage Capital Group, L.L.C., BrandGames™, Chelsea Pictures, Curtis Brown Ltd., Globe Storage & Moving Company, The Keith Haring Foundation, New Era, Meetup Inc., New York University, Virgin USA, Inc, NOHO NY Business Improvement District, Select Equity Group, Inc., Take-Two Interactive Software Inc., and Village Voice LLC. Nearby Landmarks: The Bayard-Condict Building (65 Bleecker St), Cooper Square, The Merchant's House (29 East 4th St), The Public Theater, Samuel Tredwell Skidmore House (37 East 4th Street), The Schermerhorn Building ( 376-380 Lafayette). Hotels in the Area: The Bowery Hotel, The Gem Hotel Soho, Hotel East Houston, The Mercer, The Standard - East Village, and The Washington Square Hotel.